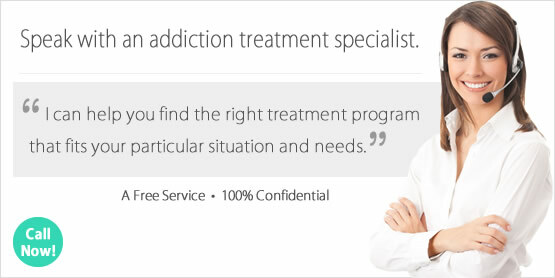 Looking for a Drug Rehab or Alcohol Treatment Center in Montana? In Montana, many residents struggle from substance abuse and many of the reasons they do have to do with the lifestyle and way of life associated with the rural and small town nature of most regions of the state. And because Montana is so rural, there can be challenges to getting the treatment needed when a resident does have a substance abuse problem. So it is important for residents to know what options exist and which one is right for them. The way to find this out is to speak with a drug treatment counselor in the state who can help answer any questions you may have and see what your personal options are based on your unique circumstances. In Montana, 50 of 56 counties are frontier, meaning they are extremely rural and treatment is not even available within 150 miles. But for those in drug rehab in Montana, the prevalence of certain substance abuse problems correlates with the substance abuser's age. Studies indicate that there is a significantly high use of alcohol among males ages 18 to 25. Until this age, the use of alcohol or illicit drugs among males and females is similar. When residents reach young adulthood in Montana however, there is a three-fold increase in alcohol abuse and a doubling of drug abuse by young adult males. Alcohol abuse far exceeds illicit drug abuse among residents in the state, and the only group at an equally high risk for both is American Indian youth. Studies indicate that approximately one in every 10 Montanan's is in need of some type of substance use disorder treatment. Unfortunately, only 6.1% of Montanans needing substance use treatment for alcohol and 9.8% of Montanans needing substance use treatment for illicit drugs received treatment within the past year. Alcohol treatment should be as comprehensive as possible, because problems with alcohol can be even more troublesome for individuals in the long term than any other drug problem. So before choosing a popular and traditional alcohol treatment program in Montana, know what other options are available to you. The most important first step is a safe detox from alcohol. There are 12 outpatient programs offering detox services, 3 residential non-hospital programs providing detox, and 6 hospital inpatient providing detox for alcohol and drug dependence. Following detox, comprehensive options include those which provide treatment models which go beyond the traditional counseling or meetings, and provide introspection into the other things in the person's life which causes and triggers their alcohol abuse. Inpatient and residential facilities in Montana offer the best format for this. The current system that accepts public funding in Montana treats approximately 4,000-5,000 people a year, yet it is estimated another 10,000-15,000 residents are receiving services from other private treatment providers. Although both inpatient and residential treatment services are available in Montana, outpatient treatment is the most accessible to residents, a gap which must be recognized and addressed. Another issue is that many areas do not have the professionals to address the needed mental health issues. So residents must know what each rehab has to offer, and that some of the outpatient treatment facilities in the state may not provide the types of services or comprehensive enough services to meet their needs. Private drug rehab facilities may, and these programs may be more accessible than residents think because private health insurance is a means of paying for private treatment in many cases. There are 62 outpatient programs, 18 residential non-hospital, and 7 hospital inpatient programs available. What does Inpatient Rehab in Montana Involve? Inpatient and residential non-hospital treatment in Montana makes recovery more realistic, by providing treatment plans that accomplish more because of the unique treatment environment and the client's ability to focus on the rehab process instead of other distractions. Aside from traditional individual and group therapy and counseling services, inpatient and residential programs also provide cognitive-behavioral therapy, motivational interviewing, anger management and other non-traditional trauma-related counseling. Treatment in an inpatient or residential facility in Montana is offered in either a short term 30-day program, or a long term 60-120 day program. Inpatient drug rehab programs are also often able to deliver dual diagnosis treatment, for individuals who may also need to address a co-occurring mental health disorder while in treatment. What does Outpatient Rehab in Montana Involve? Outpatient treatment in Montana typically involves the least intensive degree of intervention available in terms of rehab in the state, and mostly focuses on brief intervention and substance abuse counseling and relapse prevention. Regular outpatient clients may only be obligated to take part in treatment services for one day per week, while more intensive outpatient programs in the state deliver treatment several days per week. Day treatment and partial hospitalization facilities can provide services to individuals with co-occurring disorders, and will provide a comprehensive mental health assessment or diagnosis and mental health services.